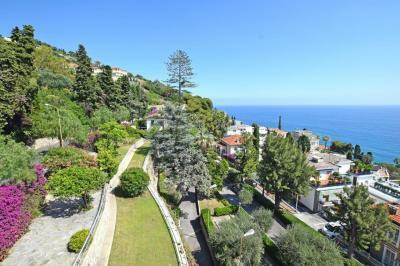 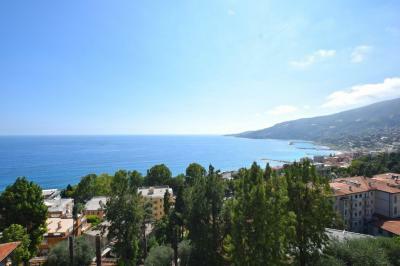 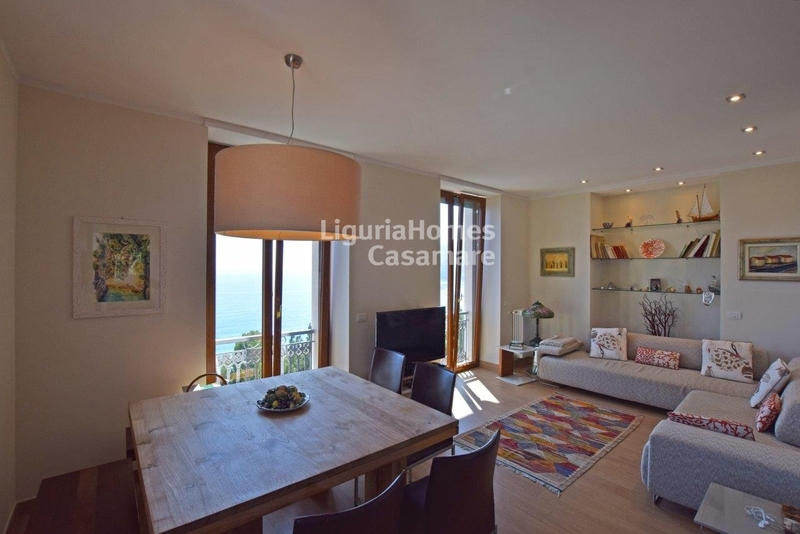 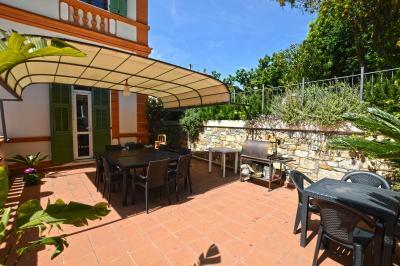 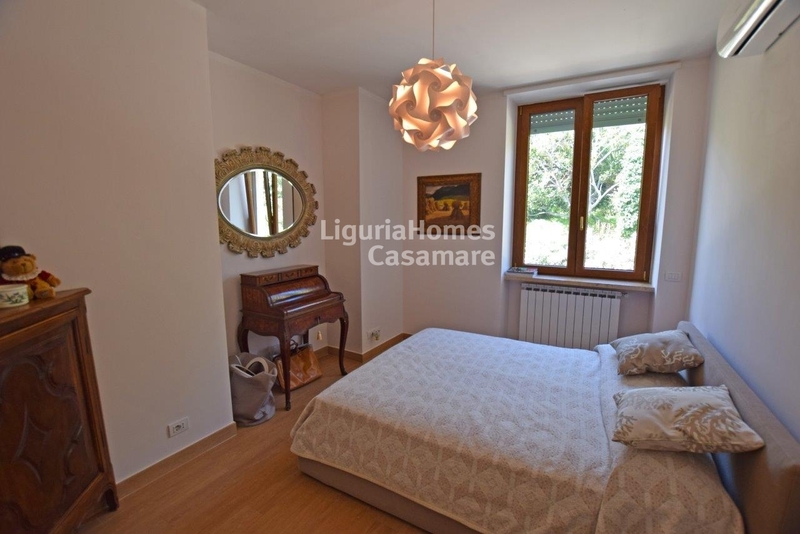 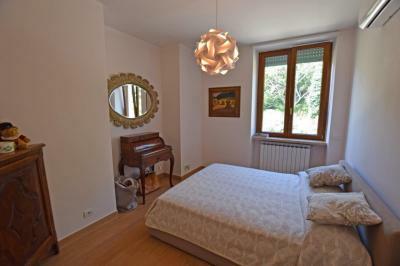 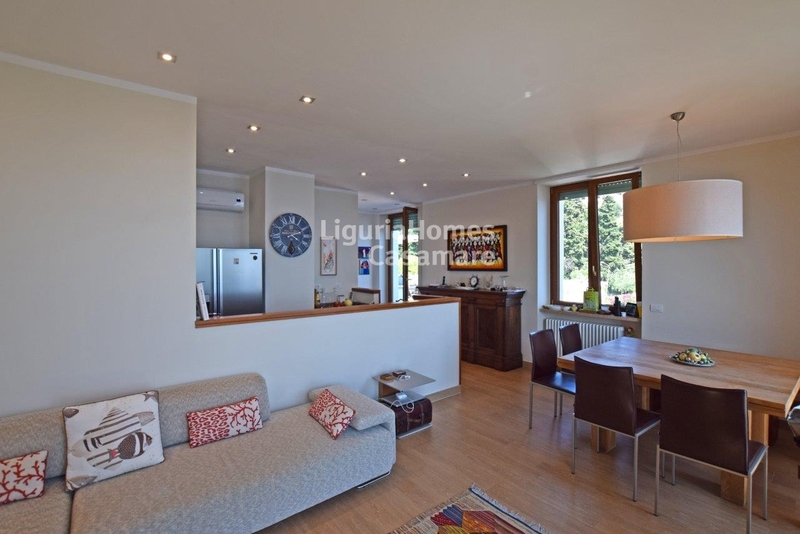 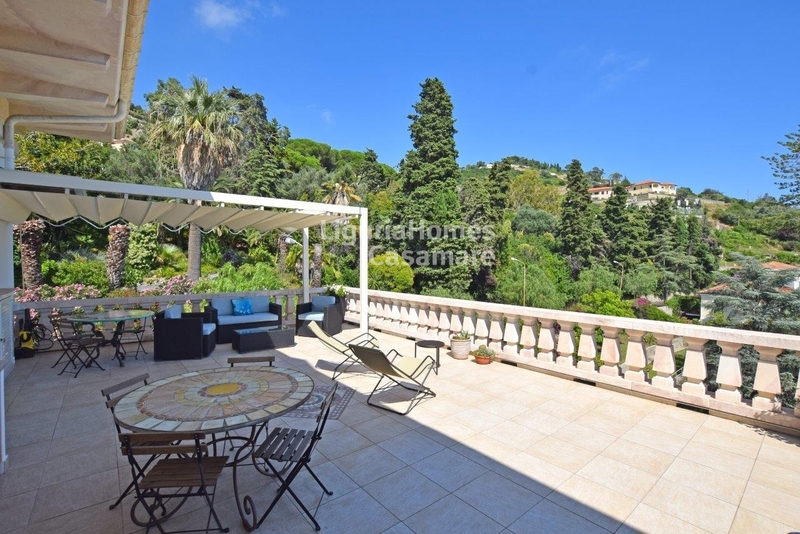 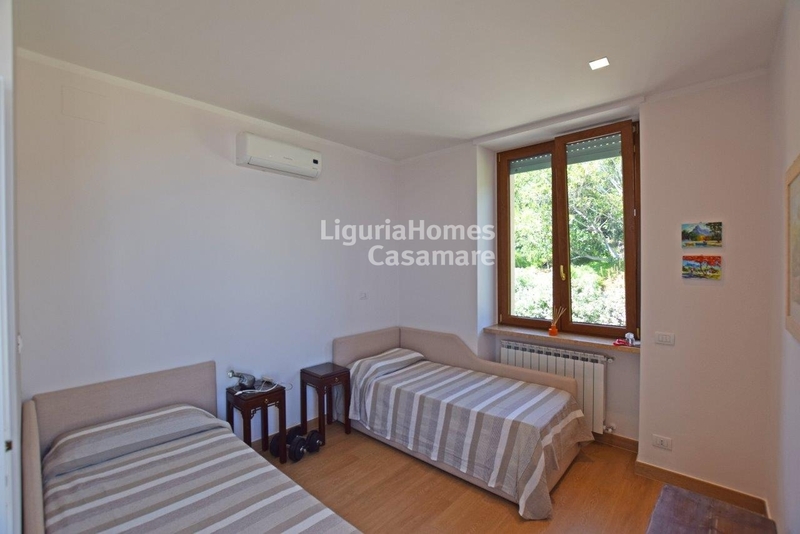 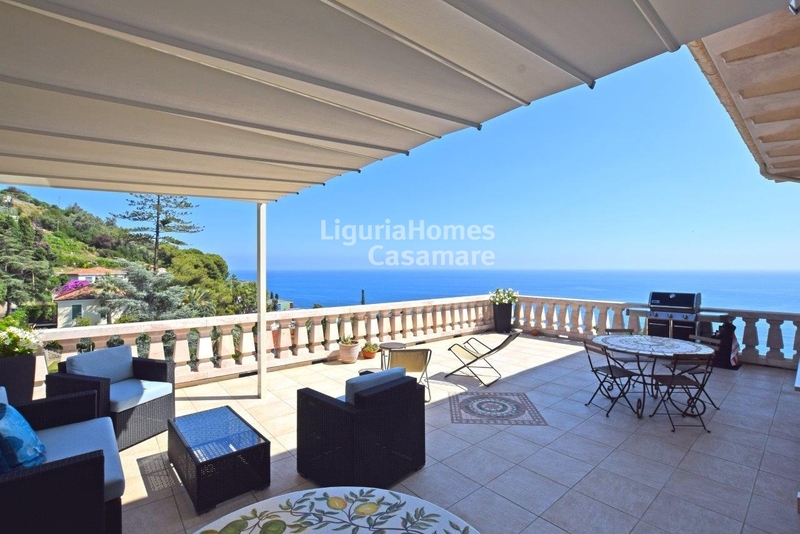 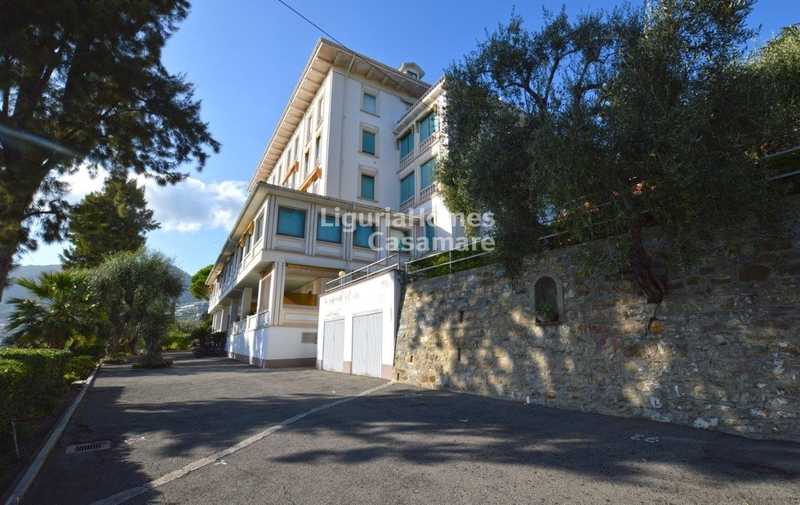 Renovated Apartment with terrace and seaview on Sale in Ospedaletti, Liguria, Italy. 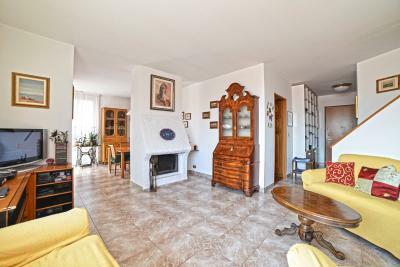 In a luxury historic villa with a 4,000 mq park surrounded by an absolute quietness, a prestigious renovated Apartment for Sale in Ospedaletti. 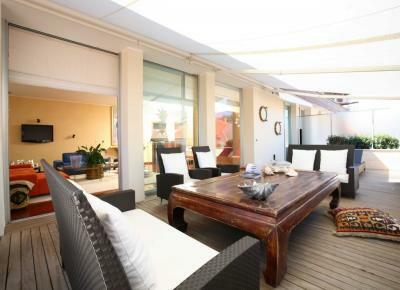 Accommodation includes: entrance, kitchen with food storage, 2 master bedrooms, 2 bathrooms and a spacious and bright living-room. Moreover, there is also a beautiful big terrace with an astonishing seaview. The privileged location of this splendid Apartment with terrace and a spectacular view over the town and up to the sea on Sale in Ospedaletti, Ligurian Riviera enables its residents to use all the urban services very comfortably and enjoy the beautiful walks among the historic and antique buildings like the first Casino of Italy and ex-circuit of formula 1 races crossing the town.